Alonzo Crittendon obituary. Carnes Funeral Home. Jun 17, 2012 The Carnes Funeral Home Staff offers our sincerest condolences to the entire Crittendon family. It was our honor to serve your family. 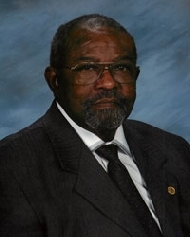 Alonzo Crittendon, Sr., 70, a resident of the Texas City- La Marque for 64 years entered into eternal rest on Friday, January 06, 2012 at Clear Lake Regional Heart Hospital in Webster, TX. He was born, July 3, 1941 in Taylor, TX to Samuel and Jewell Crittendon. Alonzo retired from Monsanto then Sterling Chemical in September, 1996 after 33 years. He graduated from Lincoln High School and Prairie View A & M University. He later worked as an Adjunct Professor at College of the Mainland. He served and received an Honorable Discharge from the United States Marine Corps. Alonzo is preceded in death by his father, Samuel Crittendon; and wife, Sandra F. Crittendon. He is survived by his mother, Jewell Crittendon, Texas City, TX; son, Alonzo Crittendon, Jr. (Teresa), Dickinson, TX; daughter, Daral Crittendon-Edwards (Derrick), Lewisville, TX; brother, Reverend George Crittendon and sister, Sophia Lamb (Fredrick), Texas City, TX; grandsons, Terrick and Dylan Edwards, Lewisville, TX, and Eurice Avery and Alonzo, III Crittendon, Dickinson, TX; and a host of nieces, nephews an other relatives and friends. A Public Visitation will be held Monday, January 9, 2012 from 4:00 PM until 8:00 PM in the chapel of Carnes Funeral Home 3100 Gulf Freeway, Texas City, TX. Home Going Services will be Tuesday, January 10, 2012 at 11:00 AM at Mc Kinney Memorial Methodist Church 1607 Nashby La Marque, TX 77568 with Dr. Janice Gilbert, officiating. The body will be laid to rest in the Willis Rest Haven Cemetery, Willis, TX. Final Arrangements have been provided by Dorthea Jones, Funeral Director, and the competent, caring staff of Carnes Funeral Home 3100 Gulf Freeway, Texas City, TX 77591 409-986-9900.